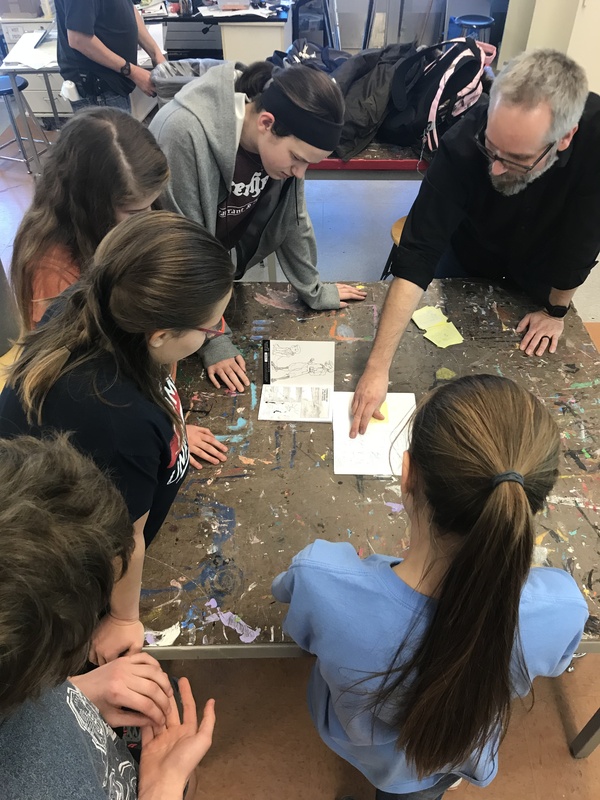 Students at Chelsea High School are touring local art shows throughout May and June to share their own stories following completion of a six-week comics course with local teaching artist and cartoonist Jerzy Drozd. This spring, nine students participated in the inaugural comic book workshop offered after school by SRSLY. Students learned about the essentials of visual story-telling while receiving support from Drozd. By the end of the workshop series, students used the principles of size, shape, line, and color to create their own comics. The students’ final work was recently displayed at the Chelsea School District’s Spring Art Show, which was held inside the Washington Street Education Center. 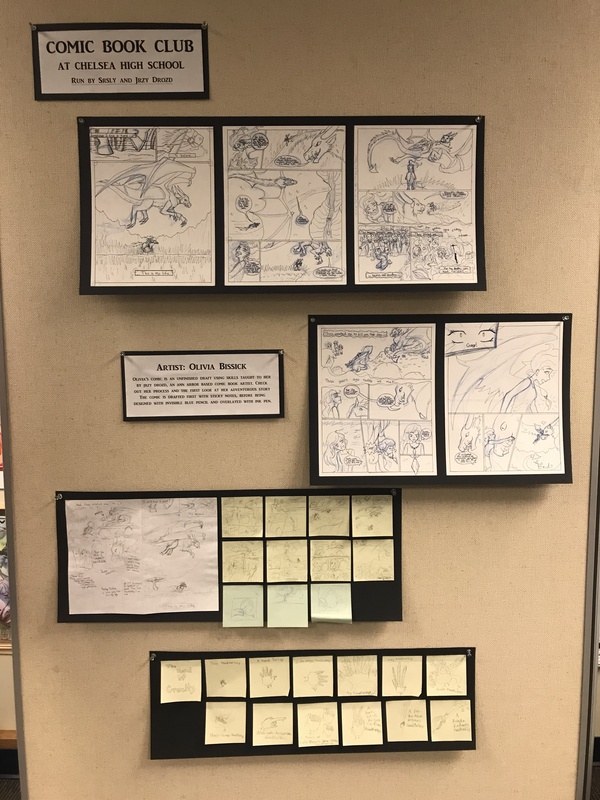 The students will also have their art featured at the Ann Arbor Comic Arts Festival, which will be held at the Ann Arbor District Library on June 16 and 17. Students from both the high school workshop and SRSLY’s middle school workshop (which was held in the fall) will share a table in the show’s artist’s alley to present their comics alongside professional cartoonists such as Judd Winick, Maris Wicks, and Mark Siegel. The comics workshops at both schools are free for any students who would like to participate. 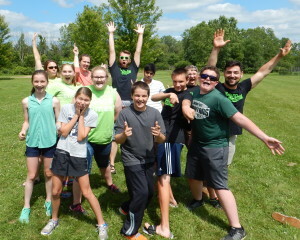 They are funded through the support of the Michigan Council for Arts and Cultural Affairs, the 5 Healthy Towns Foundation, and partnerships between SRSLY, the Chelsea School District, the Chelsea District Library, and St. Joseph Mercy Chelsea Hospital. The comics workshops were developed after the popularity of the CPTN SRSLY and the Super Master Sentinels comic book series, which SRSLY distributes to students in grades 2-9 in Chelsea schools each year to promote literacy and healthy messages. The workshops then give students a chance to share their own stories. 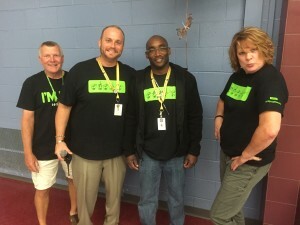 “A free, fun program that builds stronger community connection and refines communication skills–what could be better than that?” said Drozd.